If you are unsatisfied with the item/items purchased, please return clean, unaltered merchandise and the form provided on your invoice within 30 days from the date of shipment. Refunds for the purchase price will then be issued to the original credit card or Paypal account used for payment. For exchanges, please contact me by email or telephone. 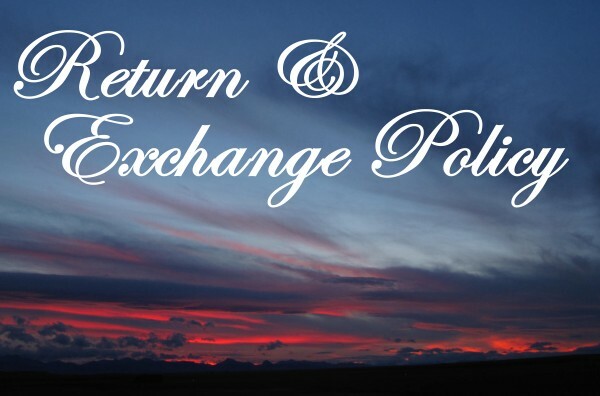 For returns or exchanges exceeding the 30 day grace period, a restocking fee will apply.